The Royal family of Nandom, following the demise of late Nandom Naa Dr Charles Puobe Imoru in accordance with their customary practice, on Thursday installed Professor Edmund Nminyem Chiir Delle as the new chief. The Convention People’s Party national chairman’s installation follows the successful funeral and burial of the late paramount chief last week Saturday. 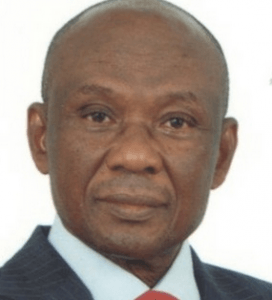 “The entire family after a series of meetings on matters relating to same has elected and installed Professor Edmund Nminyem Chiir Delle as the new chief of the Paramountcy,” head of the royal family said in a thumb-printed statement copied to the Ghana News Agency(GNA) on Thursday. The statement, which was also copied to Presidents of the National and Regional houses of chiefs said, the event took place on 11th April 2019 at the family house of the royal family in Nandom Pataal. Prof. E.N. Delle whose stool name is Chiir VIII was elected by the elders. He would be out-doored as the installed substantive Chief of the paramountcy at an official ceremony at a date to be announced later after other traditional family rites are completed, the statement said.